Connecting to the Internet makes the computer very vulnerable, as it becomes open worldwide, and it is possible, that someone wants to take advantage of. In this article we will talk about, What is Firewall (faervol), and how it helps protect your computer. The concept of a firewall combines a variety of means, designed to protect the network connection. The main task of the firewall is to monitor and filter incoming and outgoing packets in accordance with the security settings. To put it simply, Firewall - a border guard, which monitors, that no stranger not crossed the border in which whatever direction. Sometimes mistakenly called Antivirus Firewall. It is not so. Firewall does not seek and does not destroy malware. He simply filters the data exchange between the computer and the network. Firewall has a variety of settings, and each user can specify, which packets can be passed, and which in any case can not be. We have already spoken, firewall that monitors incoming and outgoing traffic. Let's, installed on your computer (not necessarily the virus), which, when connected to the Internet immediately tries to access the network and send any data. Firewall instantly calculates such activity, blocks the program and asks the user, whether or not to allow access. Similarly acts filter and incoming traffic. As soon as someone tries to connect to your computer, Firewall instantly notify you. 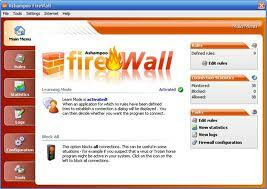 Anti-virus software and a firewall can not be compared, and allocate some of them individually. Yes, Both of these programs monitor computer security, but they do it in different ways. Anti-malware is looking for, that are already on your computer. Firewall does not see these programs, but it is able to suppress their activity, if it is associated with access to the network. Therefore, to maximize the security of your computer, must be installed and the antivirus, and faervol. True, many modern anti-virus software has the function of network security, which is nothing more than, as a firewall. it, usually, extended (and therefore paid) version of antivirus software, but they will provide a complete system protection against viruses.